AtPlay Music is giving away the New iPad® in honor of Music in Our Schools Month. 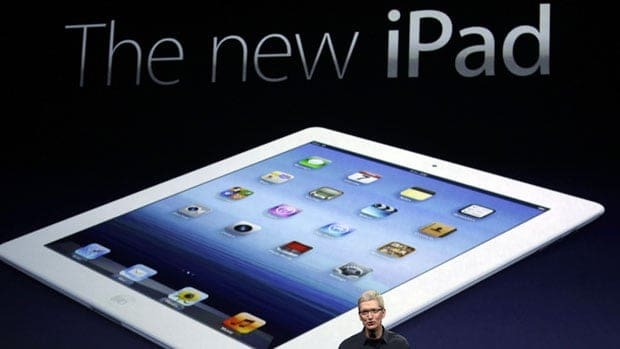 The New iPad® sweepstakes begins today at 8 am EST (Thursday, March 22). Simply Like AtPlayMusic on Facebook and enter to win the newly released iPad®. One winner will be randomly selected to win. Click here to enter . Hi Stacie! I’ve entered to try and win the new iPad! I’ve been wanting one of those since my hubby’s cousin showed us his. Thanks for the chance to win this!! I am disabled and would love to have one of these as I cant sit at a computer for very long and I would be able to lay down and be able to use this!! Hello. I would like to win one.